The definitive biography of the transformational world leader by the Pulitzer Prize–winning author of Khrushchev. 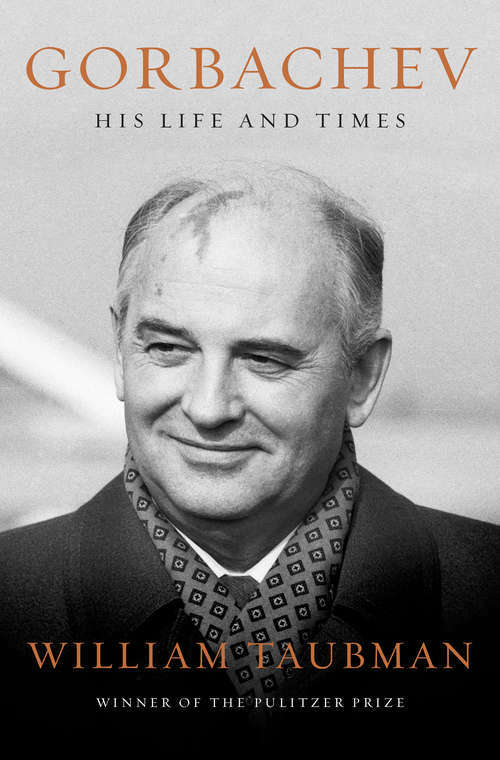 When Mikhail Gorbachev became the leader of the Soviet Union in 1985, the USSR. was one of the world’s two superpowers. By 1989, his liberal policies of perestroika and glasnost had permanently transformed Soviet Communism, and had made enemies of radicals on the right and left. By 1990 he, more than anyone else, had ended the Cold War, and in 1991, after barely escaping from a coup attempt, he unintentionally presided over the collapse of the Soviet Union he had tried to save. In the first comprehensive biography of the final Soviet leader, William Taubman shows how a peasant boy became the Soviet system’s gravedigger, how he clambered to the top of a system designed to keep people like him down, how he found common ground with America’s arch-conservative president Ronald Reagan, and how he permitted the USSR and its East European empire to break apart without using force to preserve them. Throughout, Taubman portrays the many sides of Gorbachev’s unique character that, by Gorbachev’s own admission, make him “difficult to understand.” Was he in fact a truly great leader, or was he brought low in the end by his own shortcomings, as well as by the unyielding forces he faced? Drawing on interviews with Gorbachev himself, transcripts and documents from the Russian archives, and interviews with Kremlin aides and adversaries, as well as foreign leaders, Taubman’s intensely personal portrait extends to Gorbachev’s remarkable marriage to a woman he deeply loved, and to the family that they raised together. Nuanced and poignant, yet unsparing and honest, this sweeping account has all the amplitude of a great Russian novel.